Using one AC/DC power outlet and two USB ports, the Omnicharge charges your numerous mobile devices on the move, and its intelligent charging provides optimal charging for different devices. The Omnicharge is a powerful and versatile portable power bank that comes in two models based on different battery capacities including 13600mAh and 20400mAh. One measures 5.2 x 3.3 x 0.9 inches, another is 5 x 4.8 x 1 inches. 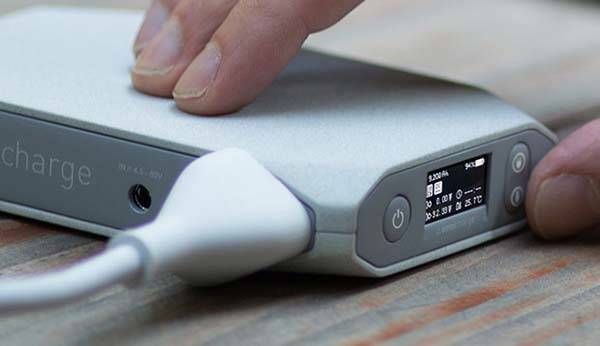 As we can see from the images, the power bank shows off a slim, portable and lightweight design which allows you to easily take it anywhere you go, and its unique appearance and matte finish deliver a minimal and modern aesthetic style. The Omnicharge power bank comes equipped with 13600mAh/ 20400mAh battery pack. 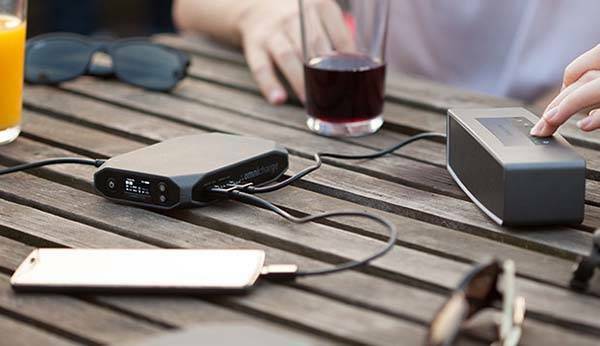 Using two USB ports with rapid charging for single output 5V/4.8A, the Omnicharge is able to charge various USB devices including smartphones, tablets, cameras and more. Furthermore, the Omnicharge also features an AC/DC power outlet, so you can also use it to charge your laptop or power other devices, and using maximum power point search technology, it’s able to adjust the input and output voltage to charge and discharge at the fastest time. Meanwhile, the OLED display is connected to the CPU on serial peripheral interface in order do display key power metrics in real time. The Omnicharge portable power bank has been available. The model with 20400mAh is priced at $299, and the 13600mAh model costs $199 USD. If you’re interested, jump to Amazon (13600mAh model ) for its more details. More power doesn’t mean smart power. At Omnicharge, we are focused on making the best powerbank with an AC/DC that works and functions every time, anywhere. The Omnicharge Pro will give your MacBook Pro 15″ an extra 60% boost to battery life (equivalent to 5-7 hours of run time) and most smartphone an extra 6-9 charges on a full charge. 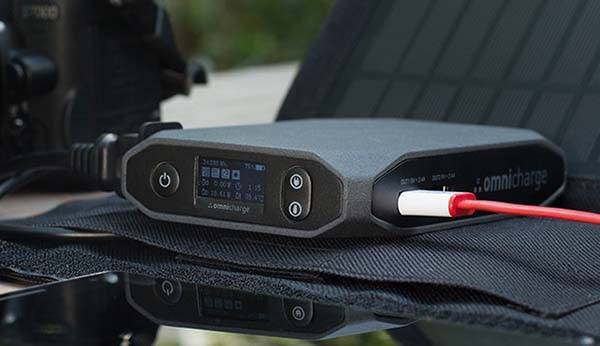 Omnicharge smart capabilities allows it to take a charge from any power source whether that is through USB, a laptop charger, or even a solar panel. It is more versatile than Goal Zero Sherpa 50 which is the leader in the marketplace. We have included real time data so you know what is going on inside the battery and power source. Most competitors power banks only include LED indicators which are inaccurate and unreliable.